Sometimes, its through the lowest points at life that inspiration strikes. Sometime those that appear to hurt us drive us more, and we ultimately grow, even thankful for the experience. I thought I’d kick off this “Thankful For” series with a twist and touch of Disney history. For those unfamiliar with the name Charles B. Mintz, he was a film producer, distributor and husband of Margaret Winkler, who produced and distributed the Alice Comedies for Walt Disney. When Mintz married Winkler, he took assumed of her business. 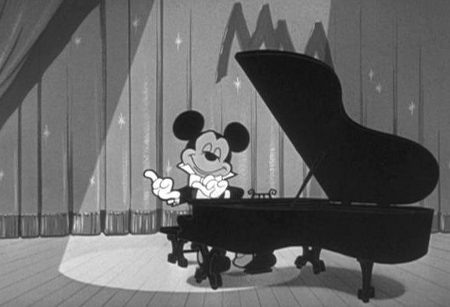 At his urging, Walt Disney and his animators created a new character, Oswald the Lucky Rabbit, who became quite a hit with moviegoers back in the day. Most of you know the story from this point: Walt went to New York to negotiate a new contract with Mintz, was informed he’d be making less, that Oswald was not even his property to keep, and all animators save Ub Iwerks had been hired away to continue work on the Oswald shorts for Mintz and Universal. Due to this turn of events, Walt left New York determined to create a new character – one that would be his. Never again would he sign away the rights to any of his properties. Details on the creation of Mickey Mouse and that fateful train ride back to California vary (Disney historian Jim Korkis has a great new article on this exact subject worth checking out! ), but one thing is certain: if Walt was determined and driven before this incident, his drive only increased at this point. I’d like to add, I’m overjoyed Oswald made his way home to the Disney fold. The old Oswald the Lucky Rabbit shorts are quite entertaining, and hope to see more of him in the future! I truly believe the Walt Disney company would certainly look a lot different were it not for Walt losing the rights to a Lucky Rabbit, and we have Mr. Mintz to thank for this. While in Disney legend and lore it’s easy to vilify someone, truth is, Mr. Mintz was a businessman. He saw it as good business to cut costs on what essentially was company property. But in doing so, he fanned a flame. One that grew brighter with Mickey Mouse and only got stronger as the years past. So, thank you, Charles B. Mintz for your role (albeit unintentional) in inspiring Walt to work harder, create more, and take control of his company. I know this Disney fan is grateful. Greetings, dear readers and fellow DisNerds! Last year, I took up a “15 Day Disneyland Challenge.” To this day, it remains one of the most read categories on Confessions. I’ve been wanting to do a new challenge for a while now, and found one to do, revolving around the wonderful world of Disney movies. However, upon a couple extra days of reflection and planning, I’ve decided to delay that challenge to the beginning of next year in exchange for a different kind of challenge – one that I don’t find all that challenging, but am extremely excited to share. One thing that I’ve always tried to pride myself on is keeping Confessions of a DisNerd positive and original. There are so many Disney bloggers out there with a negative slant – not that I have any arguments with criticism (it’s necessary to help improve and inform), but one can only read so much “watchdog” material before either joining in or getting in a fighting mood themselves. Confessions is about the positive side of Disney, and there is plenty to be positive and thankful for! Donald may just be thankful he’s not a turkey! This got me to thinking about the month of November and the holiday of Thanksgiving. During the month, many friends post daily on Facebook what they are thankful for: friends, family, circumstances and opportunities… whatever may strike them as a reason to be thankful. And there really are so many reasons to be thankful in life, aren’t there? If you’re online and reading this blog post, you’re doing better than many. I realize by being able to share this with all of my readers how blessed I am as well. So much to be thankful for! 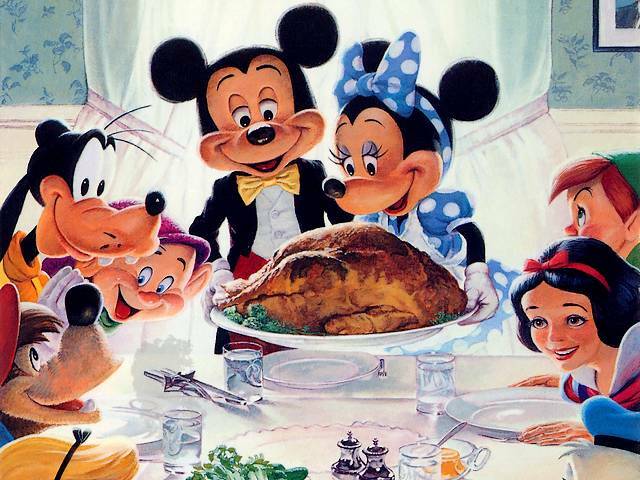 Likewise, as stated above, there is so much within the Disney universe to be thankful for. Therefore, over the month of November, I will take up the task of posting each day one thing I am grateful for within the world of Disney. Be it movies, theme parks, people who have worked for the company or the man itself, I will share not only what I’m thankful for, but why. I’ve asked Confessions contributor Hayden to share a post or two as well along the way and can’t wait to see what he shares as well! I hope you’ll check back with me on this journey that starts November 1st. I’m looking forward to sharing my thankfulness with all of you, as well as finding out what you all are thankful for. I also hope this encourages you to count your blessings and remember what you are thankful for, Disney-wise and beyond! Mary Poppins, Stage & Music, Magical Performance! So begins the tale of Disney’s Mary Poppins, as sung by Bert, Mary’s dear “jack-of-all-trades” friend who serves as a kind of narrator throughout this classic (masterpiece even) telling of PL Travers’ fantastical stories. It never ceases to amaze me just how well acquainted the world is with Disney’s Poppins. Everyone seems to know the multi-purposeful “Supercalifragilisticexpealidocious” (fewer know how to actually spell it, and even fewer go so far as saying it backwards). How many kids have leaped off a patio, opened umbrella in hand, hoping to float down as effortlessly as Mary Poppins can? Us DisNerds especially: how many times a week, day even, do you say that something is simply “practically perfect”, and any other Poppins-related remarks? Mary Poppins is so definitively Disney, in my opinion. (If aliens visit this Earth, and ask what one film best showcases Disney, I’m popping in Poppins. DOn’t ask me how they already know what Disney is.) The film is quite like Mary’s famous carpet bag; You may have just 2 hours or so of film, but it just keeps surprising you with the amount of magic and heart that it contains. Gosh, I’m sure Poppins has been on your mind a lot recently. It certainly is on the tip of a lot of folks’ tongues as of late, DisNerd or not. With Disney’s “Saving Mr. Banks” coming to theaters later this year, no doubt you’ve seen its recently released trailer. (If not, enjoy the preview HERE!) We’ve talked Poppins a few times on this blog, and no doubt we’ll be talkin’ Poppins a lot more on this blog. While all of you are discussing how close (or far) Tom Hanks’ actually resembles Mr. Disney, I’d like to bring up a side of Mary Poppins that I saw for the first time this July. This was taken moments after the show had finished. I’m glowing with that “dream just came true” glow, I suppose. The winds were blowing in the right direction, and a trip to St. George, UT perfectly coincided with a local theater’s showing of Disney’s “Mary Poppins: A New Musical”. My experience with Disney’s theatrical productions have been few, but absolutely memorable. I remember seeing a touring production of Beauty and the Beast as a pretty young kid, and there are moments of the show that I’ve yet to forget. (“Be Our Guest” had me in awe.) Seeing a professionally performed Disney Broadway show always seemed like an out-of-reach dream for me growing up, not unlike my current dream of experiencing Disneyland Paris. 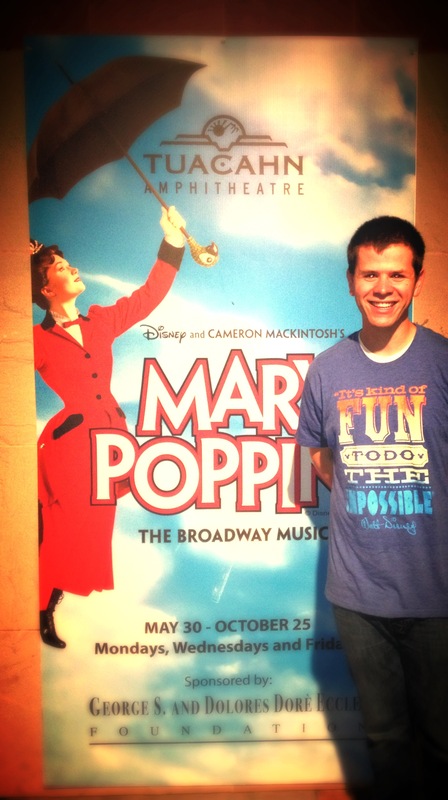 (Mary Poppins touring production stopped in Salt Lake City, UT two years ago, but as stated in my previous blog posting, I was ecclesiastically committed to another project that had me unable to attend.) I discovered this past weekend, the same quality I’ve come to expect from Disney’s other endeavors stands true for its musicals. The venue certainly lent itself to some incredible effects. Seeing Mary Poppins soar through this red rock canyon would be an incredibly fulfilling moment for any self-respecting DisNerd. You can imagine how thrilled I was to see Admiral Boom shooting off fireworks throughout the final bars of “Step In Time”, knowing fully well that such an effect was not a part of the original production. The cast was so enjoyable. They carried such an energy that had the audience in all-smiles from start until end. Yes, I know, and you’ve probably already thought this as you’ve read this post, “This shmuck didn’t even see a legitimate Disney production!” and that’s true. I didn’t see Ashley Brown and Gavin Lee. I didn’t see any touring company. And I may have just invalidated any point I’ve been trying to make throughout this article. I did get a neat t-shirt out of it all, and that’s gotta count for something. No? Drat. Well c’mon, watch the preview they made. You’ll see that what I saw wasn’t too far a cry from Broadway. I’ll say this much… It was an incredibly magical moment to see a Disney classic brought to life. It was a wholly unique experience, oh-so different from the Poppins I knew before, and yet it all felt so familiar as well. In struggling to come up with some witty way to end this post with, here’s what I produced: I’ve got a fev’ah, and the only subscription is mo’ Disney Theatrical Productions. I so look forward to the next Disney show that I see. Here’s hoping the wind will blow you and in the direction of the Great White Way! So DisNerds, have you ever been to a Disney show? What shows have you seen? Any recommendations you’d make? So, I’m certain I’ll have the opportunity to explain more of my Disney-love (how I came to love it, how I live it, etc.) but I’ll just take this paragraph to at least introduce myself this much: I am Mouseketeer Hayden (“Hi, Hayden…”) I am 21 years old, and I’ve been a Disney geek for 10+ years now. (The first 11 or so was all training, mind you.) It’s interesting to see the variety of Disney geeks you stumble upon… Some can stump me on every single Mickey Mouse related trivia question we’d be asked, others seem to know an uncomfortable amount of information about Annette Funicello. Myself? Gosh, you’ll be hearing a lot from me about Disneyland, Disney Imagineering, Disney Animation, and the man Disney himself. Craig spoke briefly of my life’s most recent grand adventure as he introduced me. 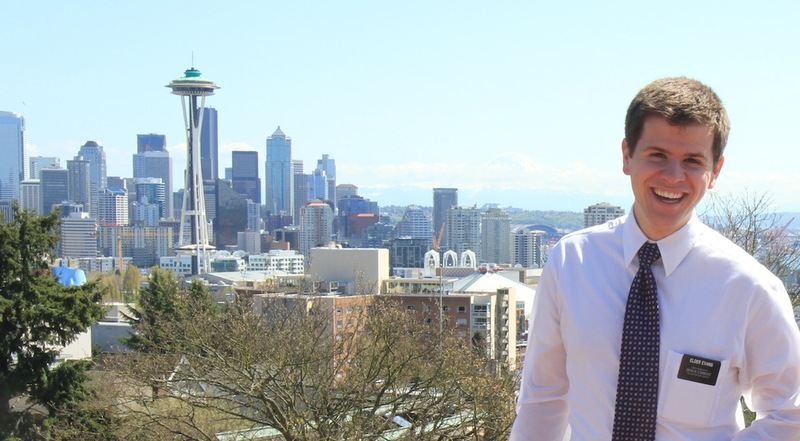 In short, I returned this May from Seattle, Washington where I served as a full-time missionary for the Church of Jesus Christ of Latter-day Saints. I’ll spare you two years worth of stories (though I’d be happy to share with any who’d like to hear them via private conversations) and explain this much: I served this mission knowing full well that I’d be away from family and friends for two years, my only contact with them being occasional letters and weekly e-mails (and I was allotted only an hour’s worth of e-mailing, mind you). I understood that I’d be asked to forsake all forms of “worldly” entertainment, including, but not limited to: movies, music (excluding sacred hymns, of course), radio, iPods, iPhones, computers, newspapers, television, etc. I knew that I wouldn’t have any “vacation” time; certainly no time to even think about Disneyland, let alone go to Disneyland. Such is the life of a Mormon missionary! From Mouseketeer to Missionary: Setting aside mouse ears for a clean-cut ‘do, a pin lanyard for a necktie. May 11th, 2013, I was reunited with my family. It was a wonderful moment. I can’t even begin to describe the emotion(s) of it all. Suffice it to say, I was with who I loved most. But I wasn’t “where” we needed to be quite yet. I felt absolutely spoiled; for the next 5 days I felt like Disneyland was putting on its best show just for me. The rides went smoother, the cast members were happier, the paint was fresher… I felt like it’d missed me, and that it was mighty happy to see me back. Thank goodness, too. I entertained the thought that perhaps I wasn’t as ready for Disneyland as perhaps I needed to be. It was interesting to see the things that changed, yes, from major installments to minor details. 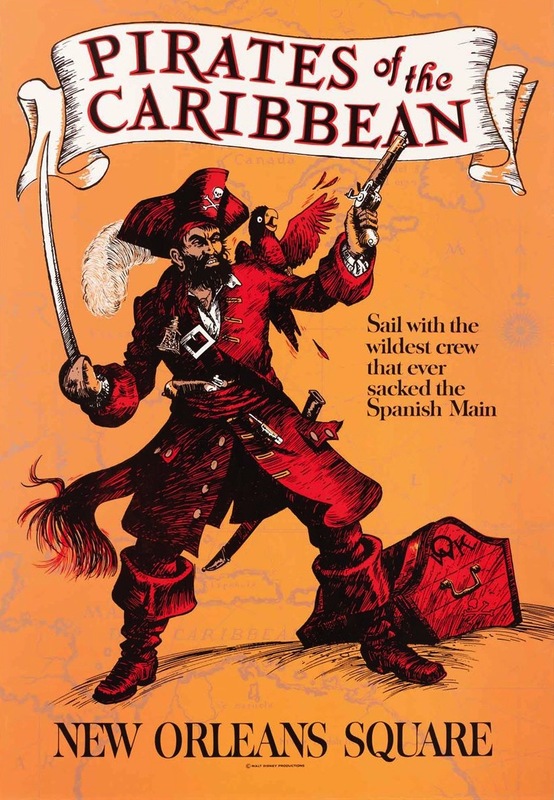 Some sails and other various fabrics in Pirates of the Caribbean had been changed out. Indiana Jones and the Temple of the Forbidden Eye certainly had its share of enhancements. California Adventure… I don’t think anything was the same there! A new entrance, Buena Vista Street, Cars Land, trolleys, shows, stores… What an experience that was, seeing for the first time! A water feature here had been repainted, a merchandise rack had been shifted there… But I was still walkin’ right down the middle of the same Main Street USA. I was still being followed home by the same pestering hitch-hiking ghosts. It’s just as small a world now as it was when those 2 years ago. Which was all sorts of wonderful. I found I needed to be at Disneyland for more reasons than to just satisfy a Disney geek’s cravings and yearnings. I needed to be there to remind myself of where I had come from, who I was, and where I’ve wanted to be going. It was here I felt a figurative “last piece of the puzzle” fall into place, solidifying all of the life lessons I had learned through my missionary service into my heart. I was I sure picked an eventful two years to take a hiatus from, I’ll tell you what! It was wonderful to feel that my two years away from the magic didn’t deplete me in anyway. It has very much so been a compounding experience; each passing moment finds me all the more prepared for the next. I was just as ready for Disneyland as I had ever been. Friends at first, and friends at last. Disney hasn’t stopped providing magical moments, and I certainly haven’t stopped enjoying them! Car’s Land? I watch a Youtube video of Radiator Springs Racers every day to remind myself that it was actually real. From Mater’s Junkyard Jamboree down the road to the Cadillac Range, it was nothing but extraordinarily delightful. Buena Vista Street was far greater than I could have ever anticipated. I first saw it at nighttime, and I immediately fell in love. It provides such an incredibly immersive experience. It had me in awe the minute I scanned my pass and stepped in. There are so many more stories to share, and yet today there is so little time. I hope you enjoyed this, and if anything I hope you take this from it all: I friggin’ missed Disneyland, I’m excited to be back, and I can’t wait to go again. And, if I might add… I am happy to be here, contributing to this blog! Have a Disney Day, folks! Greetings and salutations, fellow DisNerds! For a while now, I’ve been teasing on the Confessions Facebook Page about some upcoming changes being made to the site. I started a couple weeks back with a new background on the blog; a minor change, but something that definitely reflects my inner Disney geek. Today, I’m excited to be announcing another change to confessions, this one being quite a bit bigger. From the start of Confessions, one thing that was always important to me was community. If it wasn’t for my fellow Disney fans, there would be no reason to share these stories, thoughts and pictures. As much as I love writing, I thrive on reading responses from readers and hearing their stories and love of Disney as well. With that being said, I felt the desire to share more stories with you all, even if they weren’t all from me. Therefore, I am proud to announce a new addition to Confessions of a DisNerd. Can’t think of a better day to introduce someone than on Tuesday – Guest Star Day! 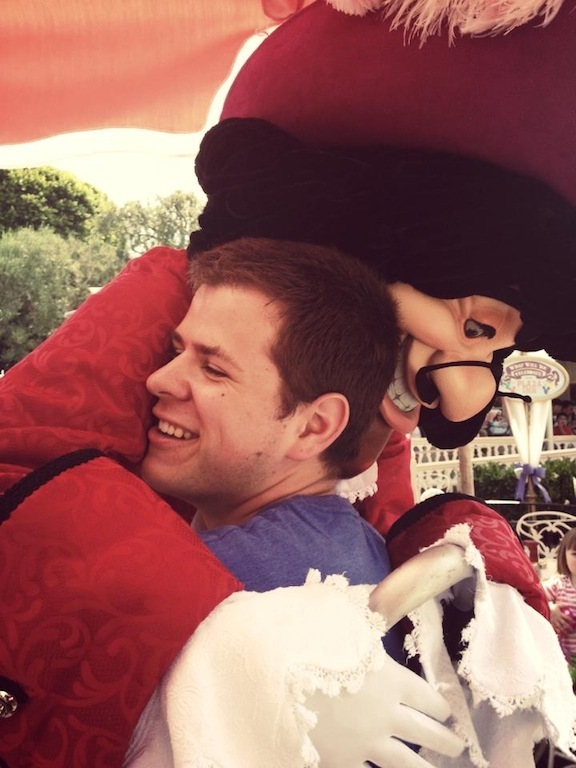 My dear friend Hayden will be joining this blog in the upcoming days as a fellow contributor, eager to share his thoughts and tales on the love of all things Disney. As long as I have known Hayden, his enthusiasm for the Disney company, from its rich animation and film history to theme parks is nothing short of contagious. Through many conversations with him, I have found a friend and confidant that not only understands what it means to be a DisNerd, but is definitely one himself. Hayden has just returned from a two year mission, during which time, he didn’t have much outside contact with the world of Disney. How interesting it was to hear his impressions of the new Disney California Adventure as well as other changes that happened in both California theme parks, as well as movies that he is watching for the first time – two years is quite a bit of time in the vastly expanding universe of Disney! I can’t wait to see his perspectives on this, as well as other goings on within Disney in the upcoming days, weeks and months. Oh! 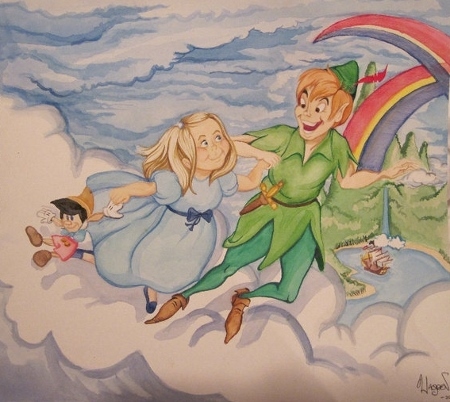 And he’s also a very talented artist, as he was the one who did this piece, discussed in my “Still Living In Neverland” entry. This is just one part of some exciting things coming up within the world of Confessions of a DisNerd (look for new features in the upcoming weeks! ), but definitely one of the things I’m most excited about. So without further ado, let’s give a warm welcome to Hayden! We can’t wait to hear of your adventures and stories! I think my wife and I are even bigger fans of Sharkey and Bones than my daughter. We discovered this when I bought the CD, only to have my daughter ask to turn it down as daddy and mommy were bobbing our heads in the front seat…. In a conversation with a fellow Disney fan (Adam, author of the wonderful California blog San Magnifico) , we both came to the realization that we are fans of “Pete’s Dragon,” and not afraid to admit it. Although it’s not quite the critical darling that other films from the Disney spectrum are, it still holds a spot very near and dear to some. For me, I have fond memories of reading along with my “See, Hear, Read” records and listening to snippets of “I Think I Saw a Dragon” over and over again. 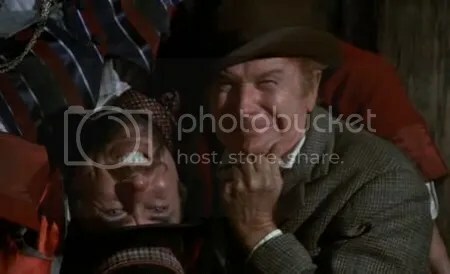 As a grown up, I still get the biggest kick out of watching Jim Dale and Red Buttons scheme their way through Passamashloddy. As well, I know many people who will tell you that the musical film “The Happiest Millionaire” isn’t worth your time. I, however, am not one of those people. In fact, the soundtrack for this film is toward the top of my list. The Sherman Brothers had a masterpiece on their hands with this one (at least in my opinion). From the silliness of “By-um-pum-pum,” to the incredible cheesiness of “Detroit” (maybe this one works for me as a Lions fan? ), and the rousing “Let’s Have a Drink On It” number, there’s not a sour spot in the movie. Every time Tommy Steele is on the screen, the movie is even more fun. 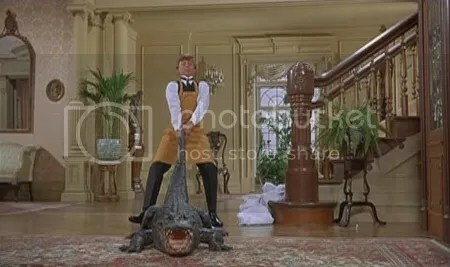 I mean, anyone who babysits alligators has earned my respect! I know I speak of the “Magic of Disney” an awful lot, but to me there is magic in the fact that some things, while not looked upon as great by many – be it kiddie show pirate rock duos, lower rated movies or less than popular theme park attractions – can still mean so much to some who gladly make their feelings known. And in that moment, we find others who feel the same way, and we don’t feel alone in our fandom. What about you, fellow DisNerds? Do you have any “not so guilty” Disney pleasures that set you apart from others? Feel free to share here!